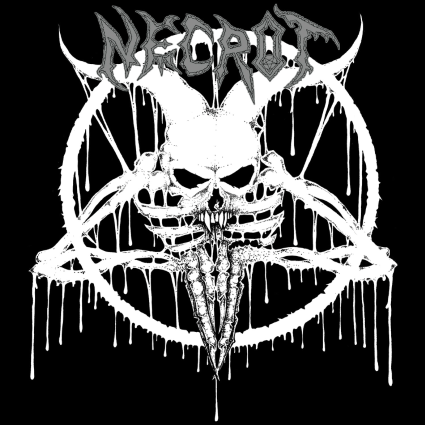 Necrot are a death metal trio from Oakland, Cali. Their debut album The Labyrinth is a heavy and headbangingly good slab of good school flavored death.This eight track album is comprised of the songs from their three, extremely hard to find demos. The vocals from signer/ bassist Luca Indrio are harsh and brutal to the extreme. They are accompanied by buzz-saw guitar work from Sonny Reinhardt and fast and pounding drums by Chad Gailey. The album opens up with the thundering "Consume Control" and from then on it never lets up. The dark and pounding title track is one of the best on this disc sounding like a combination of a brutal storm and machine-gun fire. "Cycles of Pain" is a savage lighting fast assault on the senses. While, "Rebirth In Chaos" might be the most appropriately titled song on the album as it is a true aural representation of chaos. The album closes off with the blistering "The Abyss". The underground has been clamoring for these songs, and this album will sedate that need. It will also undoubtedly please fans in search of the old death metal days and bands like Bolthrower, old Morbid Angel, and early Sepultura.